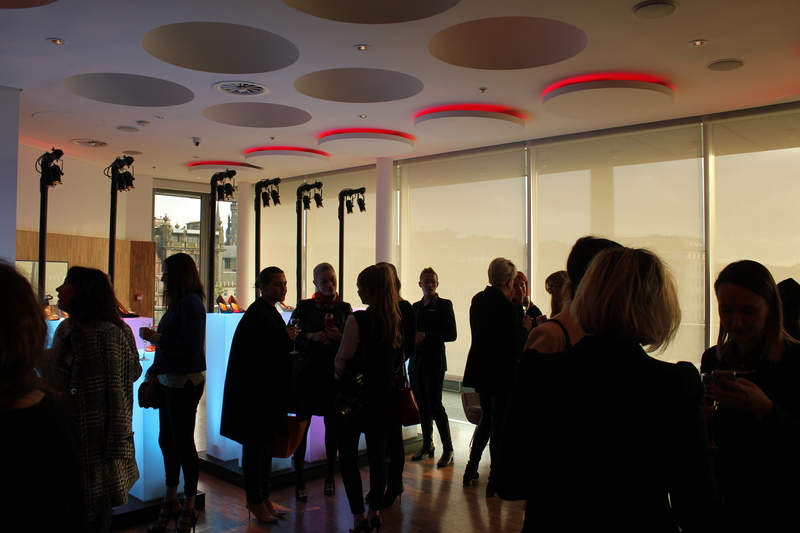 Manolo Blahnik launches in style at Edinburgh’s premier fashion destination. 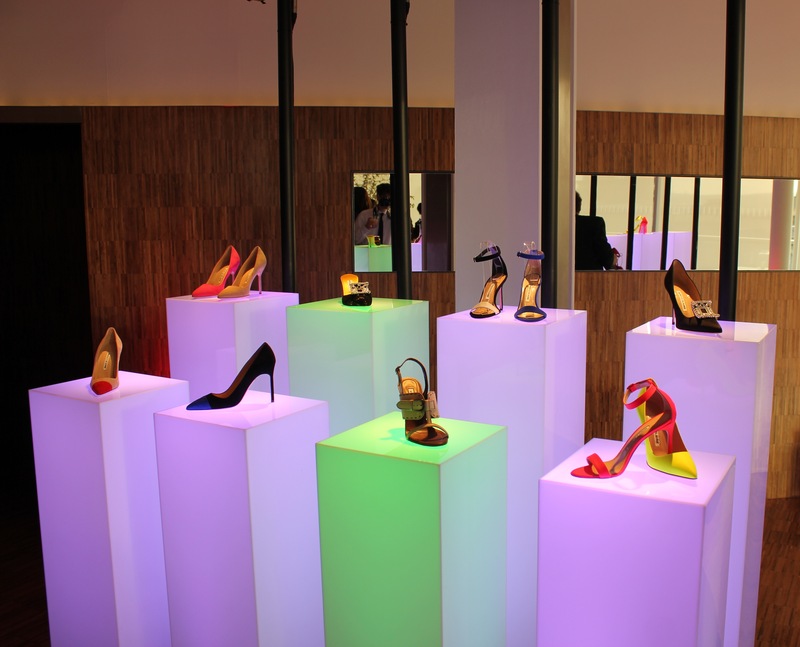 A coup for Harvey Nichols Edinburgh: as of this week, they’re the first UK store outside London to stock the fabulous creations of shoe king Manolo Blahnik. 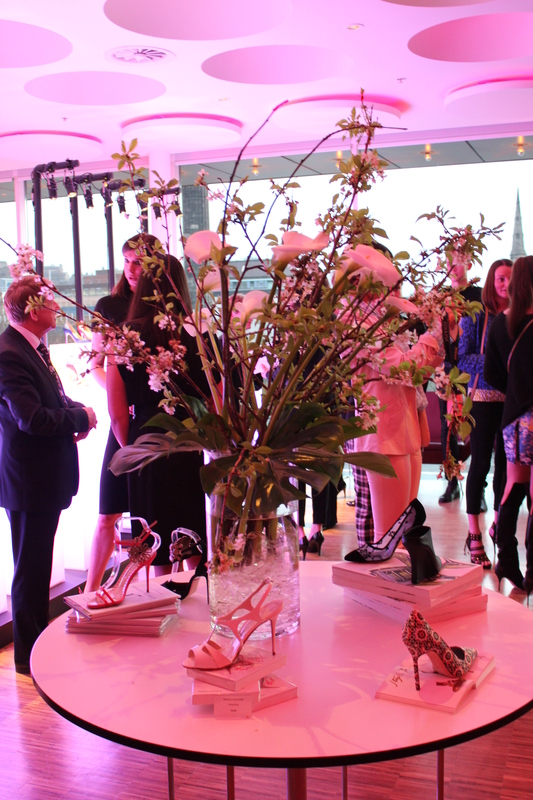 To celebrate, Harvey Nichs hosted an intimate reception in part of the Forth Floor restaurant, complete with a gorgeous pop-up shoe boutique for us to ogle the new season styles, a showing of Manolo’s SS14 short film ‘Jealousy’ and a Q&A with Kristina Blahnik. It’s safe to say I was in complete high heel heaven. 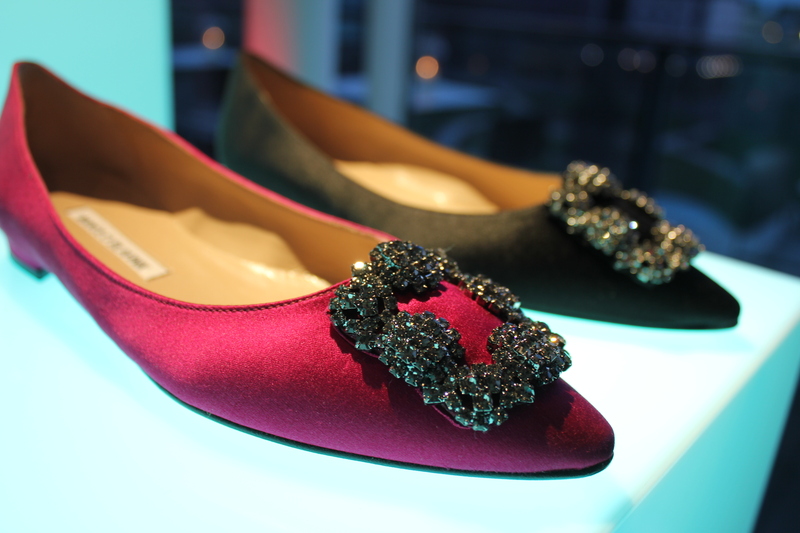 Manolo will surely be the jewel in the crown of HN Edinburgh’s intelligent edit of the best in fashion. 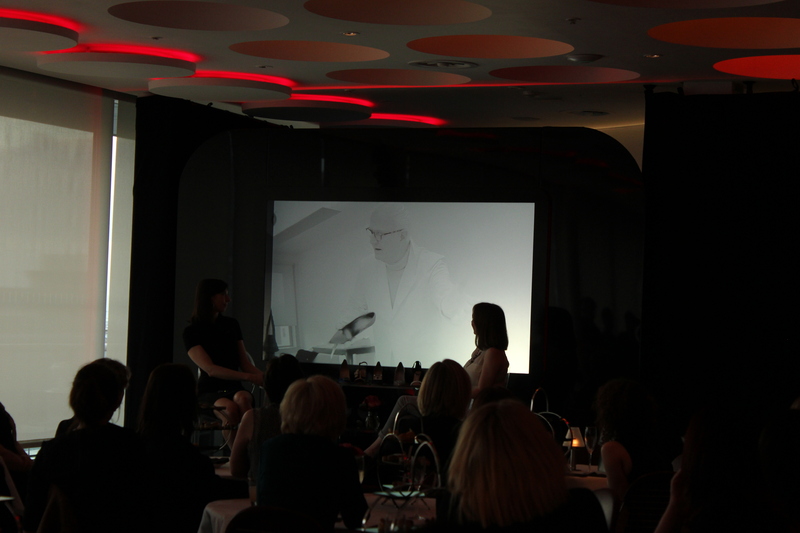 Manolo’s niece Kristina, who oversees the business, spoke passionately about the designer’s love of the city – he’s a proper, old-fashioned, eccentric creative and finds inspiration everywhere: researching films, architecture, books, art and vintage magazines is a constant passion of his. According to Kristina, Edinburgh’s unique heritage and aesthetic were a particular draw and Manolo can reel off all sorts of facts about the Scottish capital. It’s clear the brand will be at home – cobbles aside, as Kristina joked. 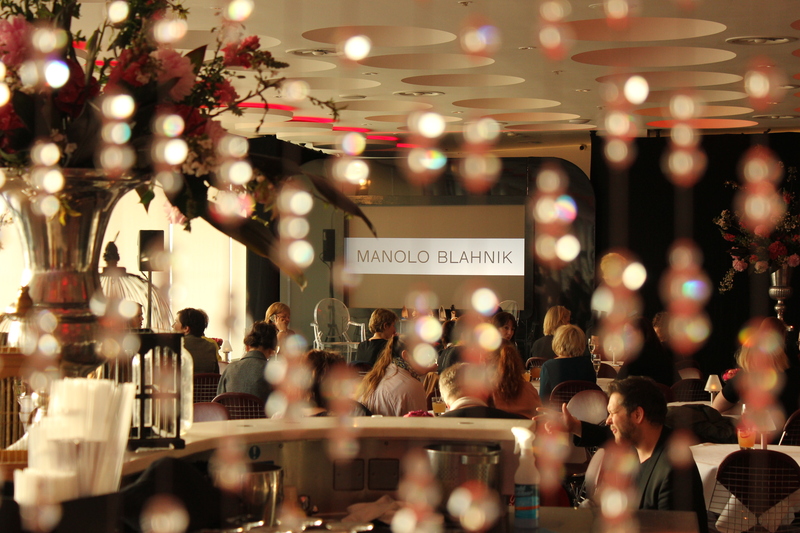 It was genuinely one of the most fun and informative fashion talks I’ve been to, and I have a newfound appreciation for the sheer design mastery, technical know-how and craftsmanship that goes into each and every pair of Blahnik’s creations. 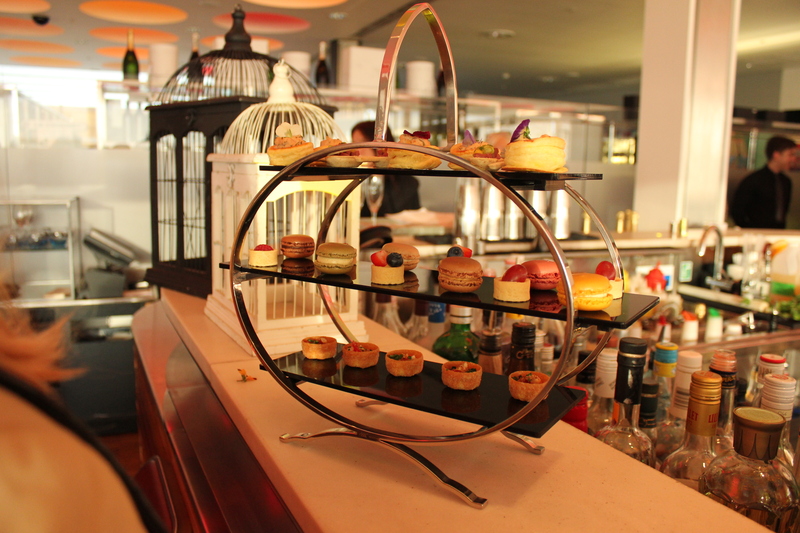 We were invited to take our seats in the transformed Forth Floor, which was filled with beautiful floral arrangements (that perfectly complemented Manolo’s SS14 colour palette) and where we were treated to whisky and passionfruit cocktails and the most delectable selection of miniature treats – the macarons were to die for (and coordinated rather well with the shoes too). As the sun went down across the city – it couldn’t have been timed better – the film began to roll. The film ‘Jealousy’ (which you can see here), stars the dashing Rupert Everett; the styling, the music, the myriad of jewel-hued shoe changes, the costumes and setting ooze old school glamour, showcasing Manolo’s beautiful SS14 creations with a humorous twist. The idea for a fashion film came about after chatting with a group of friends, including Grace Coddington, and was all done in house – a term Kristina said was a good way to describe the brand itself. It’s that vital personal touch and sense of fun that really sets Manolo Blahnik apart from other companies; as Kristina said, these shoes aren’t a commercial product – or even a product at all. She described them like individual characters: as Manolo designs he apparently talks to his creations, ‘People might think it’s bonkers but they’re little spirits, little characters plucked from his mind!’ she explained. 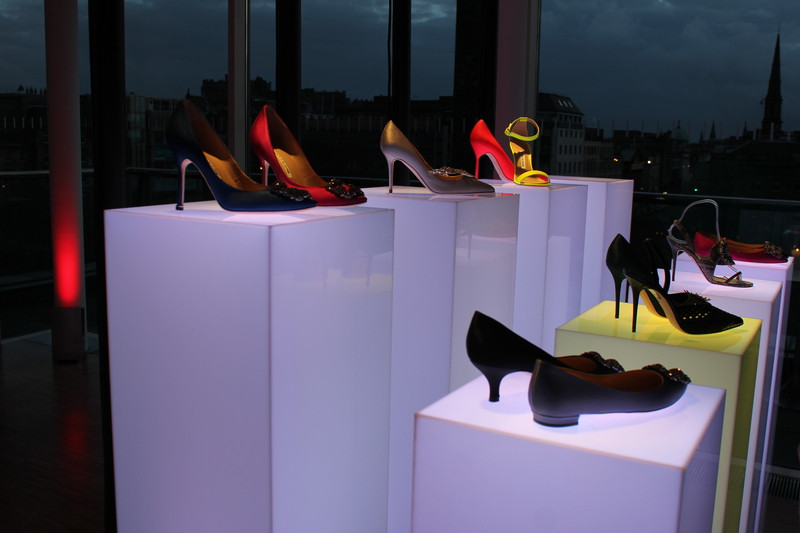 The highlight of the evening for me was learning all about the shoe-making process. Manolo is incredibly prolific – ‘he can design 20 shoes in half an hour’ – nothing is done on the computer and the designer is still very hands-on. He hand sketches each creation and fashions new lasts and heels every season; there’s a constant aesthetic change. The designs are illustrated straight onto the shoe (covered in masking tape), and then transferred onto a pattern, which is then cut out. It sounds like sheer shoe magic to me – I knew the process was a complex one, but the work that goes into each pair is mind-boggling. They might make one pair of a design or 20, but quantities are always select – ‘it’s about quality, creativity and narrative’, enthused Kristina. 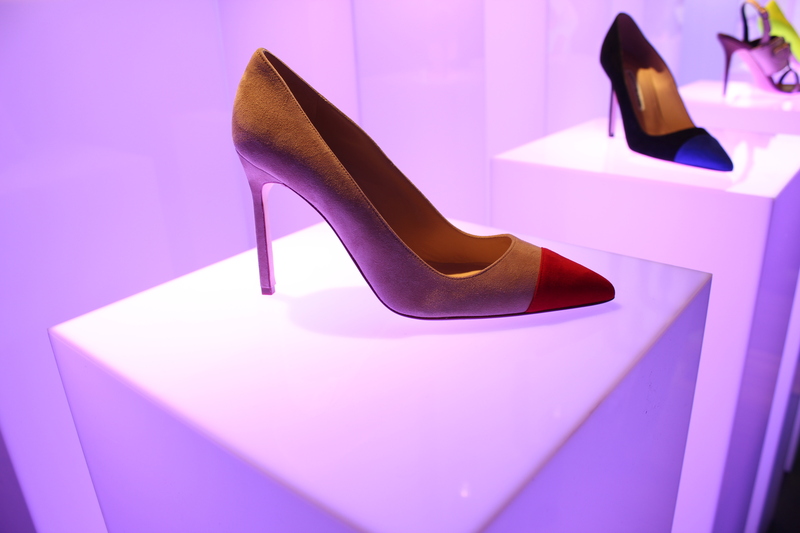 The 50+ shoes Manolo designs each season are cut down to about 18. She described her uncle as a dragonfly – ‘he flits and hovers, conversationally and creatively’ – but it’s an organised chaos in his mind, a chaos only he understands. Trained architect Kristina grew up surrounded by shoes – apparently she wore her first pair when she was 10, but was more interested in chunky heels than her Uncle’s elegant creations in her teenage years at least. Kristina’s favourite pair varies all the time, but she sticks to a mid heel now – at 6’5″ in her signature BB pumps, her uncle describes her as his ‘giraffe niece’! The close relationship between the two was apparent: a mix of creative flair and business nous, Manolo Blahnik is a family business in the truest sense. In his Bath home (where he lives next door to Kristina’s mother), Manolo apparently stores over 30,000 shoes – along with his extensive magazine collection, they’re having to reinforce the joists. ‘Good if you are size 37,’ according to Kristina, but there’s only one foot from each pair in the archive. 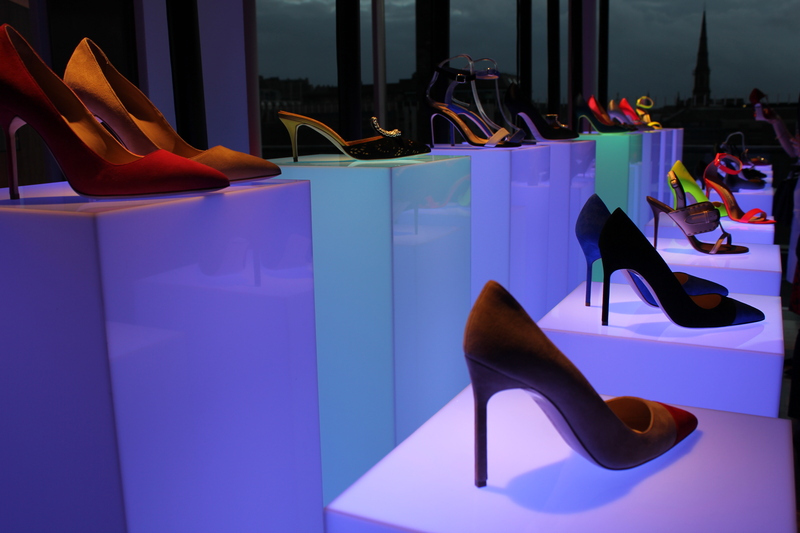 I know I would certainly like to pay a visit – maybe I should become a shoe historian? Christina and I couldn’t resist trying them on – you know, for the purposes of review – and can happily report they’re the ultimate princess shoe. Pretty damn comfy for a pair of heels too – a fact we learnt is due to a magic ratio of heel height varying with shoe size, which makes sense to me! While the pricetag means they’re not exactly an impulse buy, learning about all the work that goes into them, they certainly merit it – each shoe is like a piece of wearable art, as well as a wee slice of the imagination of one of the most inspiring creatives around. The event was a laid-back affair, thanks to Kristina’s friendly, infectious enthusiasm and a great line of questioning from The Herald’s Elizabeth McMeekin. 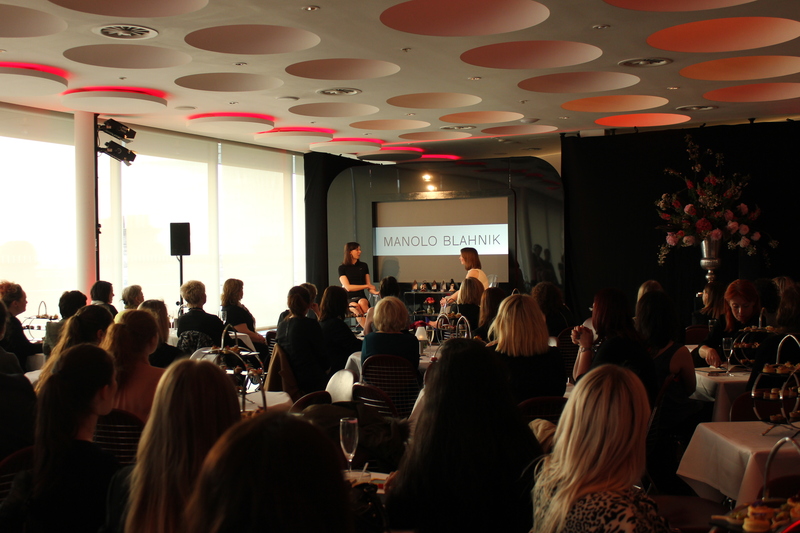 Fun and informative, it was great to learn all about Manolo’s story first-hand from Kristina. He doesn’t show any signs of stopping either – we also saw a clip of Manolo working away (the studio was just like a laboratory, complete with white coats!). 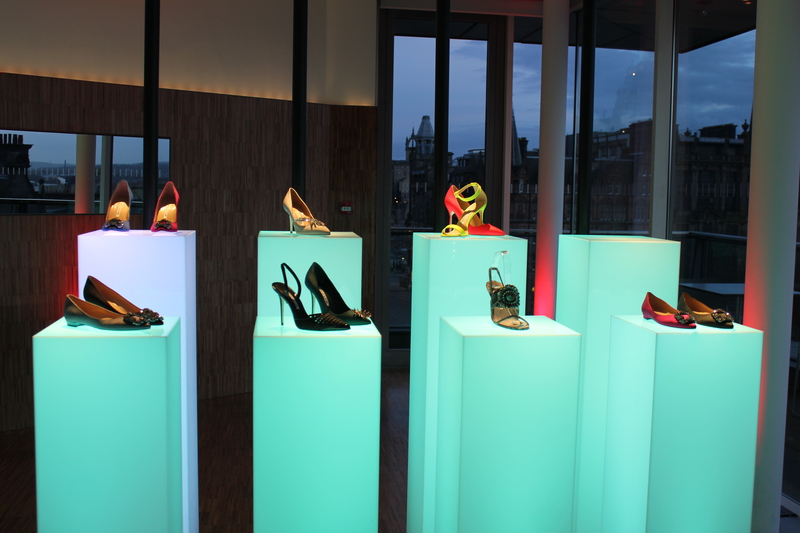 His creativity knows no bounds, and I came away filled with inspiration – as well as a fantasy shoe wardrobe. A girl can dream! 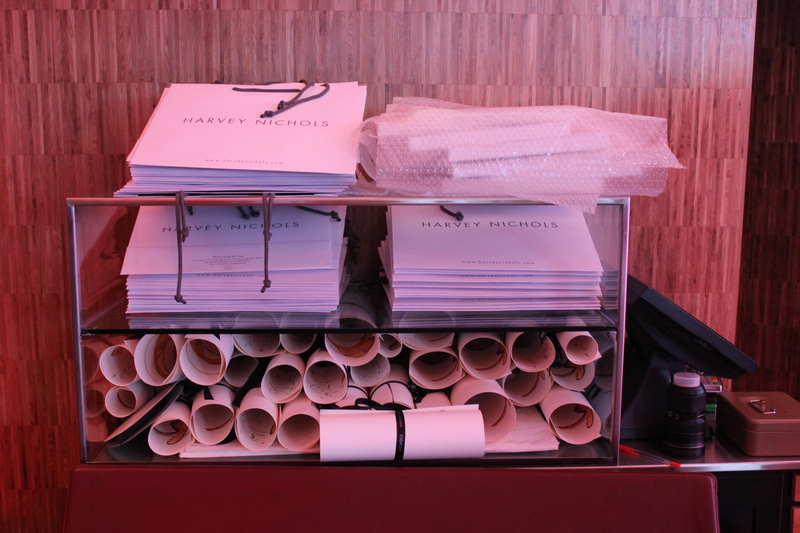 Thanks for having me, Harvey Nichols. 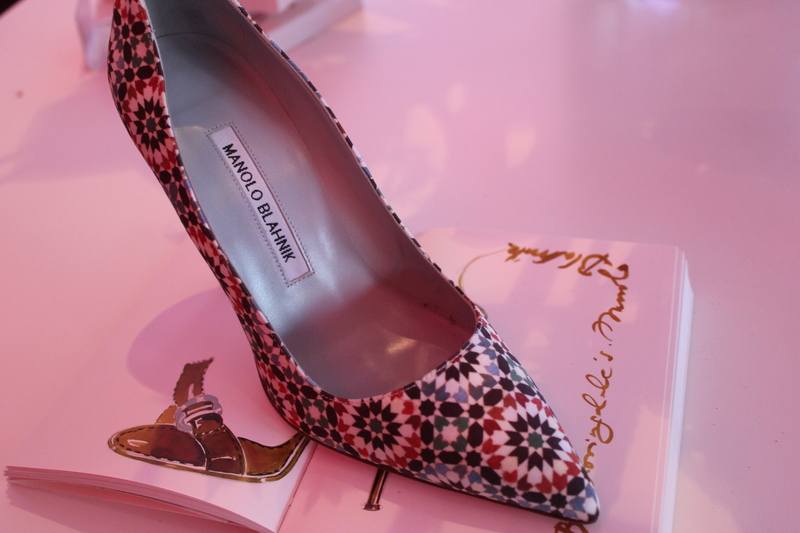 Those are signed Manolo sketches above – I just adore his illustrations too! 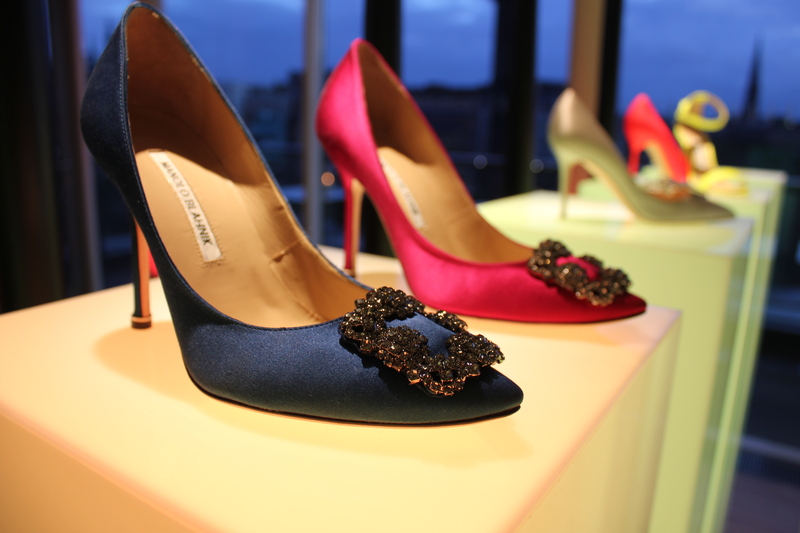 Are you a fan of Manolo Blahnik? Who’s your favourite style creative? Thanks for sharing this. They look beautiful, art on your feet.